In the Samarkand region, works on the restoration of 15 objects of cultural heritage, landscaping and landscaping of territories located near these objects have been completed. The walls of the Rukhabad temple were also strengthened, repair works were carried out in the interior of the Mahdumi Khorazmiy mosque, internal walls, external and internal surfaces of the Gishtli Masjid mosque were repaired. In the Urgut district, in places of pilgrimage, work has been completed on the construction of sanitary and hygienic units, a road with a total length of about 2 km has been repaired, road signs have been installed, the buildings located near the pilgrimage sites have been reconstructed, restaurants with national cuisine, A restaurant for 200 people and 2 objects for recreation in the summer season have been built in the mountainous area. In addition, parking lots have been created, roads and sidewalks have been repaired, leading to tourist pilgrimage sites, a total of 40 km of the road has been asphalted. In Nurabad district a hotel for 50 places was built and 1 clinic was put into operation. To date, Hazrati Davud Cave has been completely restored, landscaped, new tourist facilities have been built and all conditions for pilgrims have been created. Work is under way to establish wireless Internet access (Wi-Fi). To date, Wi-Fi works in airports, railway stations and in the complex “Registan”. 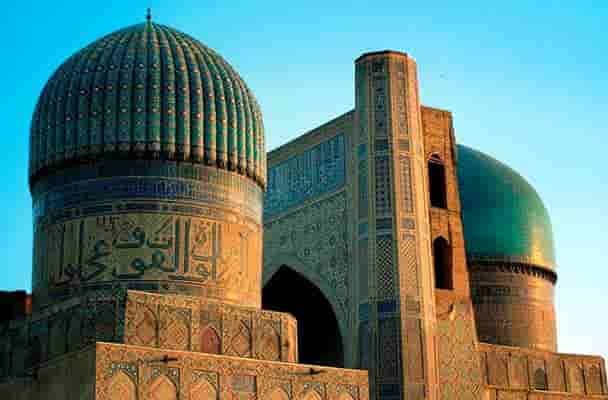 The tourist has the opportunity to freely move around the territory, referring to the information in the mobile application in 3 languages ​​(Uzbek, English, Russian). Also in this appendix are information on hotels, restaurants, shopping centers, cultural heritage sites. In the museums “Afrosiab” and “Ulkashunoslik”, along the motorways M37, M39 modern recreation centers, restaurants and other facilities equipped with all amenities for people with disabilities were erected. In 2016 in the city of Samarkand were put into operation hotels “Zilol Baht” for 130 seats, “Old Town” for 40 seats, “Bec Samarkand” for 50 seats.